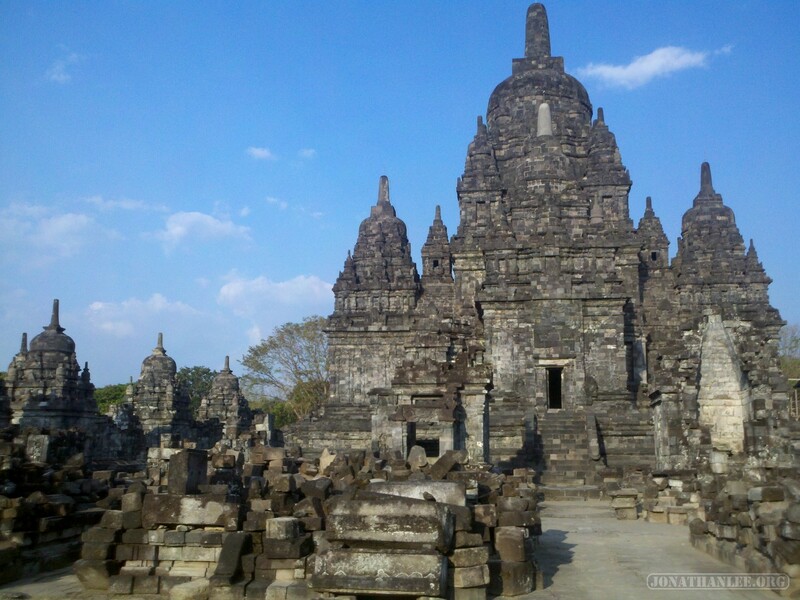 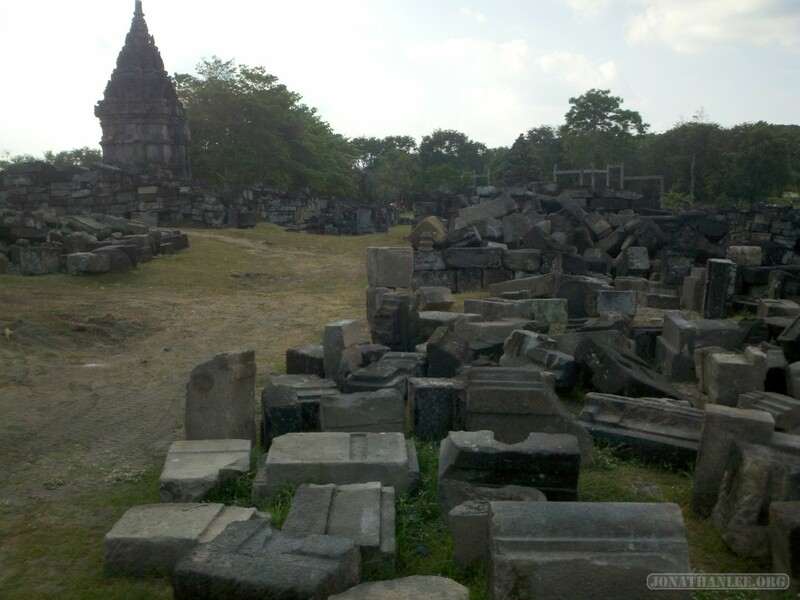 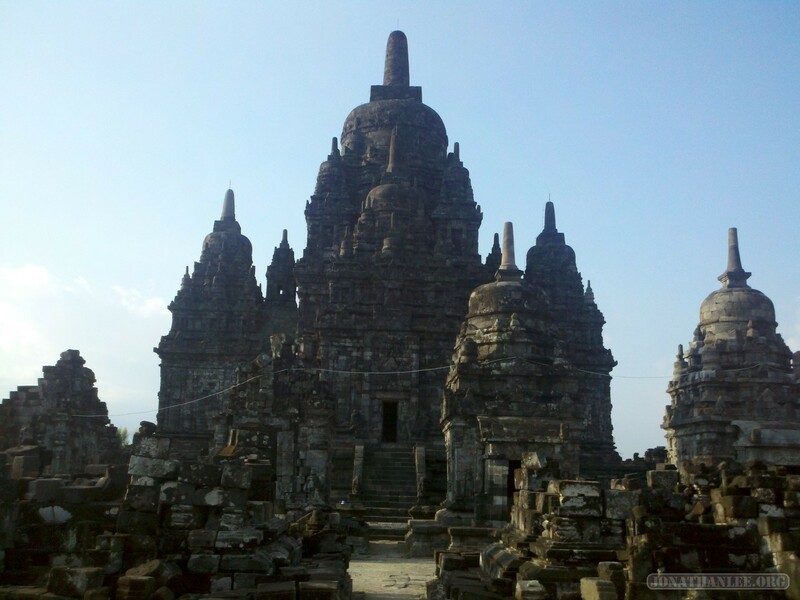 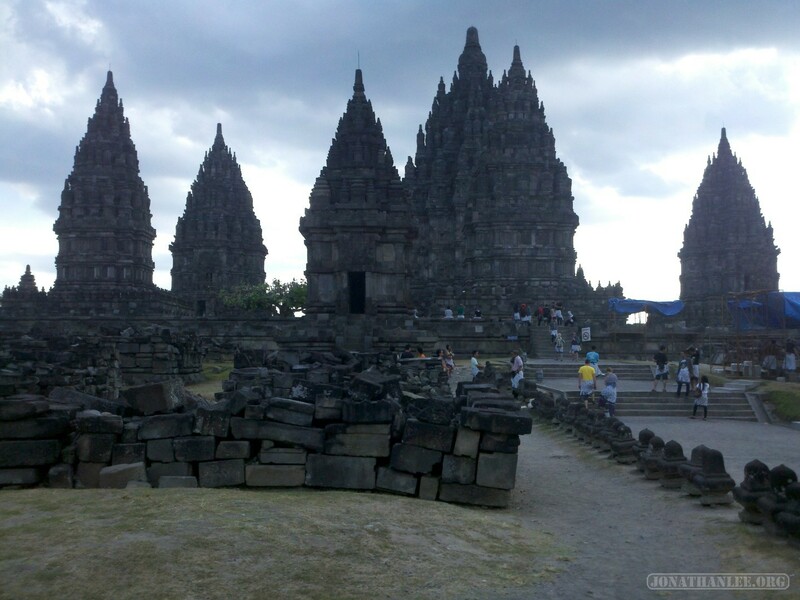 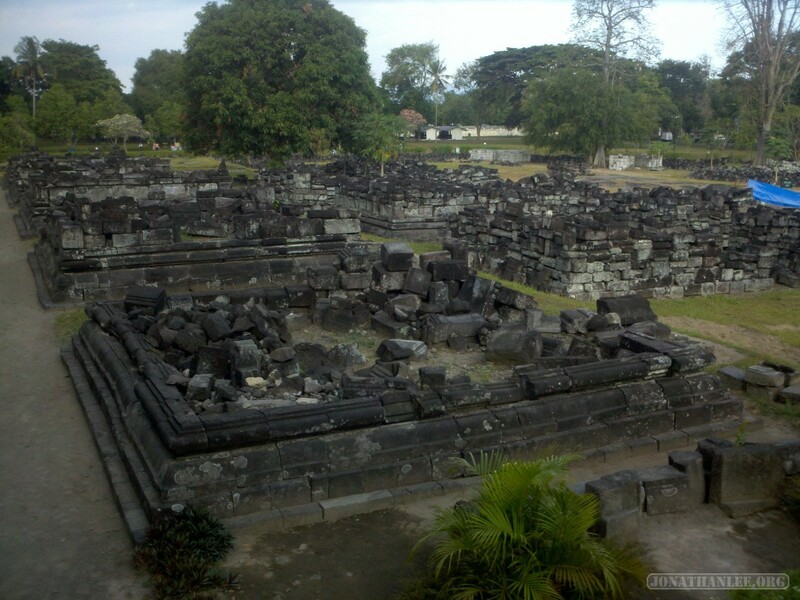 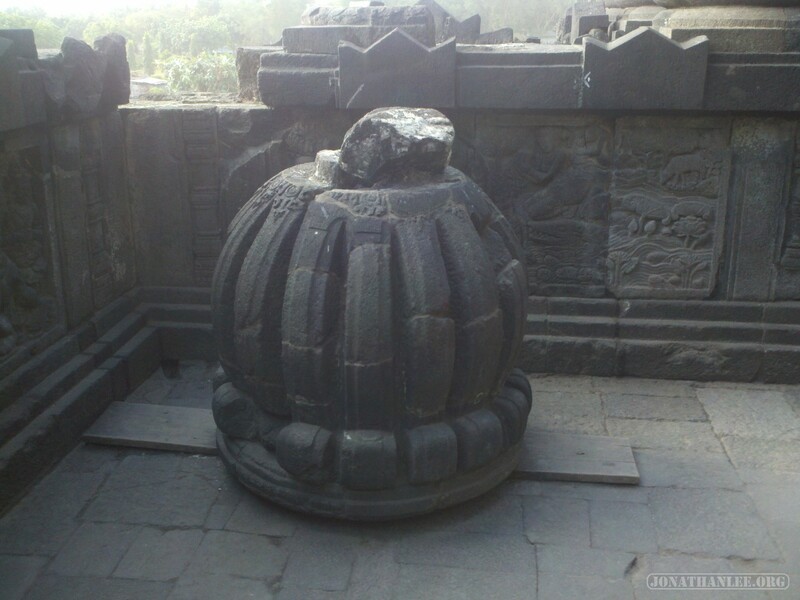 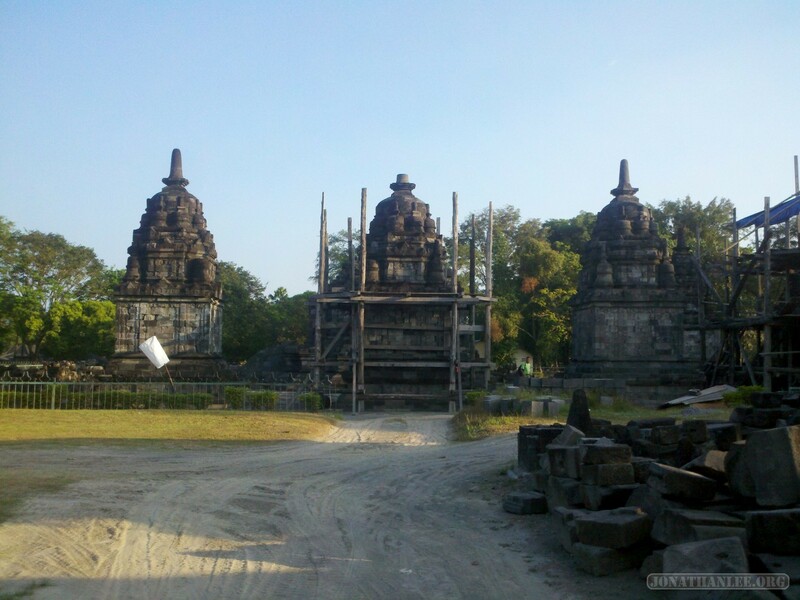 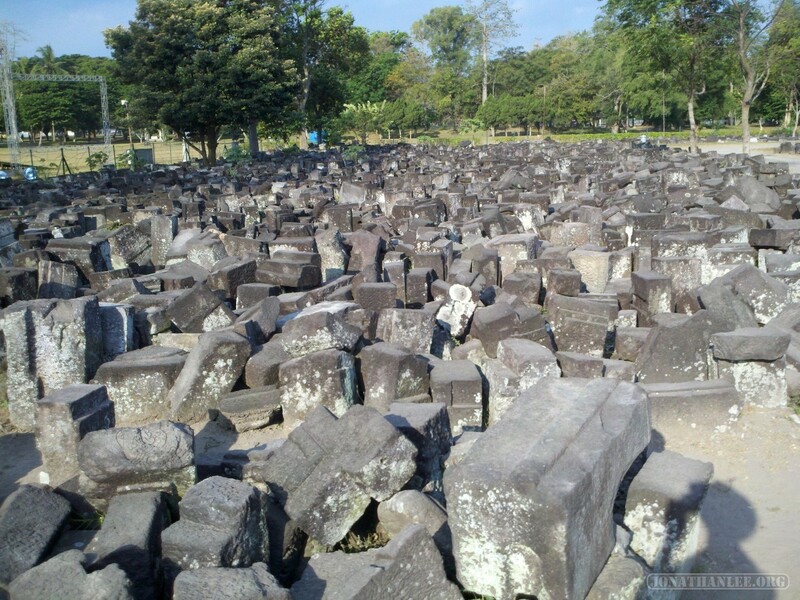 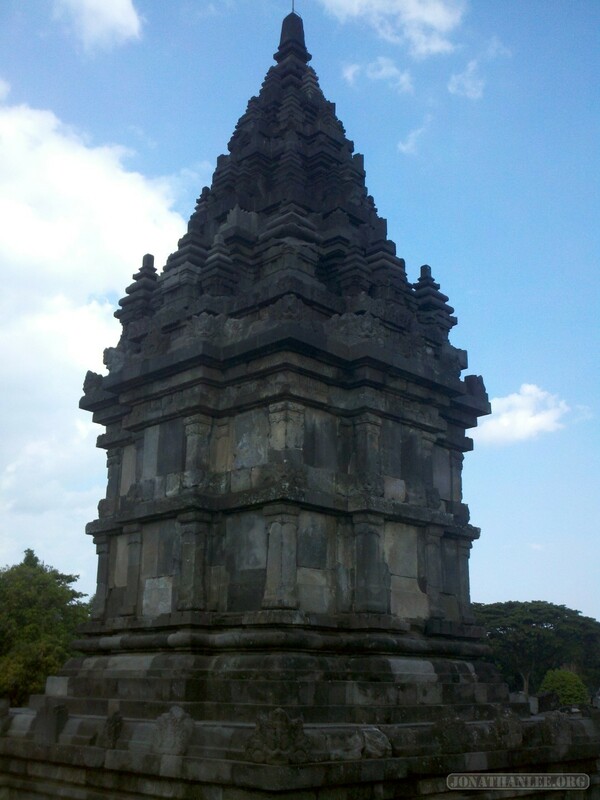 Since the archaeologists are still working on restoring Prambanan, there’s still a lot of building blocks lying around, wreckage from the earthquakes that shook apart many of the temples. Good luck putting all that back together! 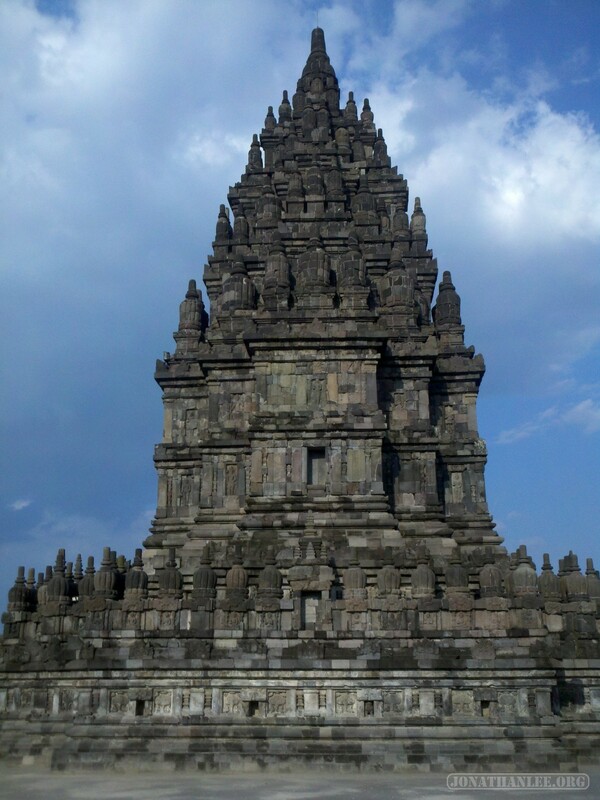 I imagine it’s like putting together a complicated Lego model when missing both the instruction manual and a good chunk of the blocks. 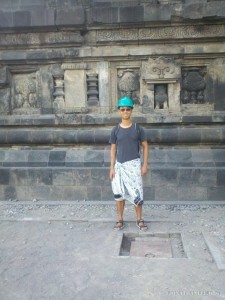 Due to the instability of the buildings, you have to wear a hard hat. 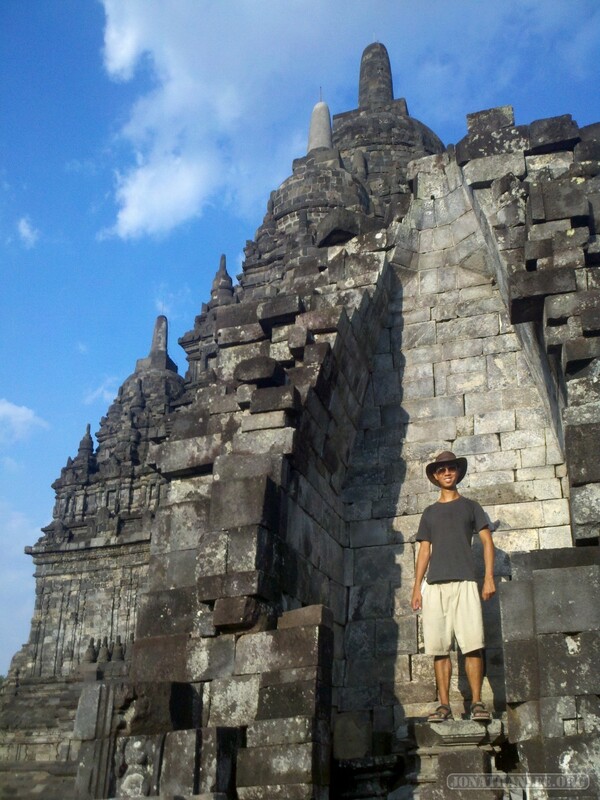 Though if one of those chunks of rock fell on me, it’s unclear that a hard hat would be of any help. 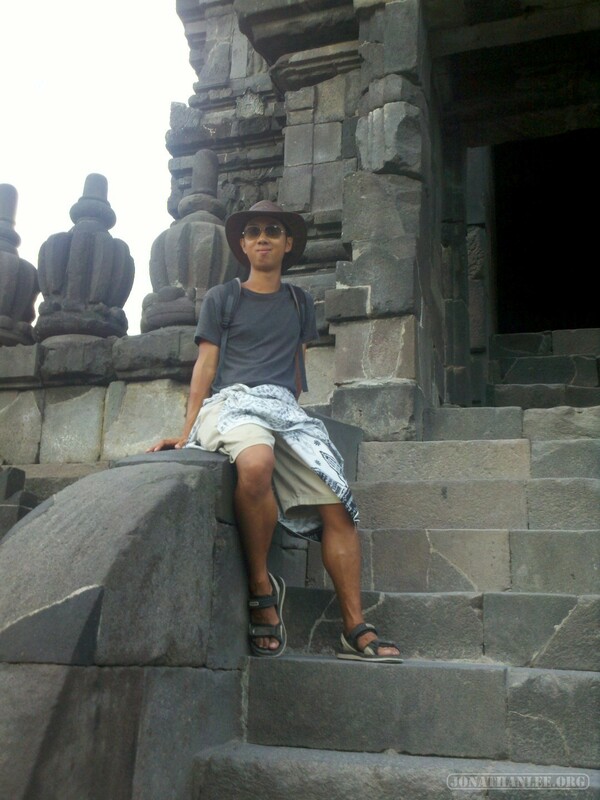 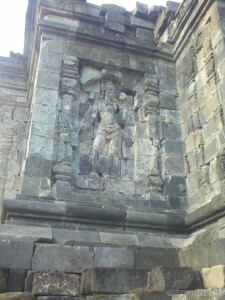 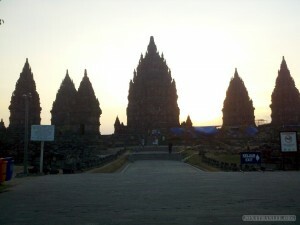 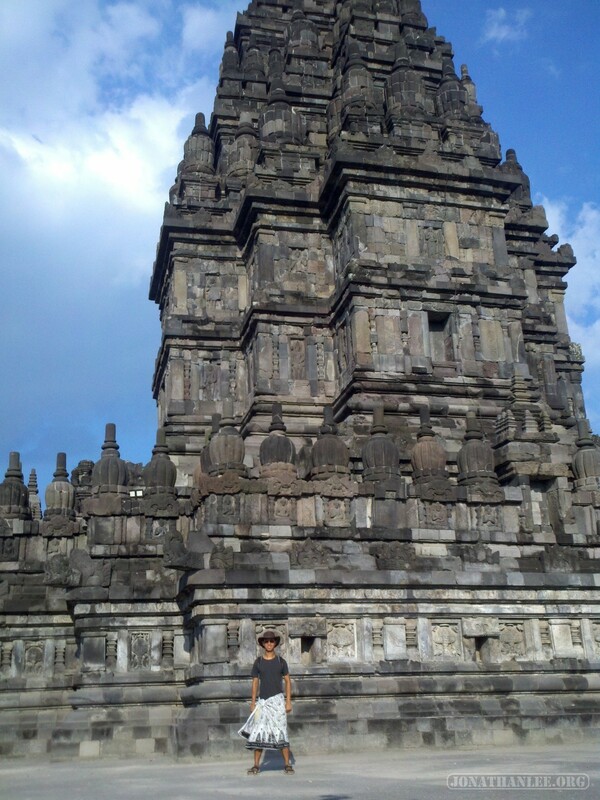 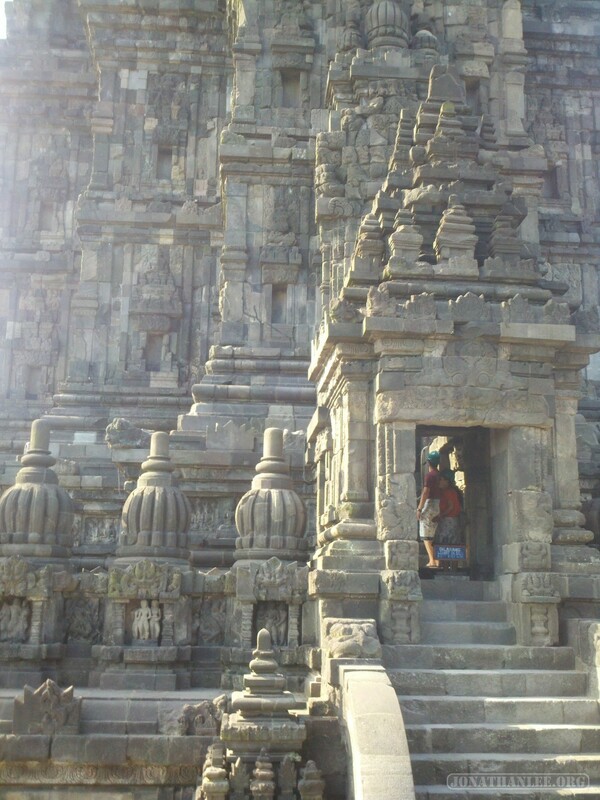 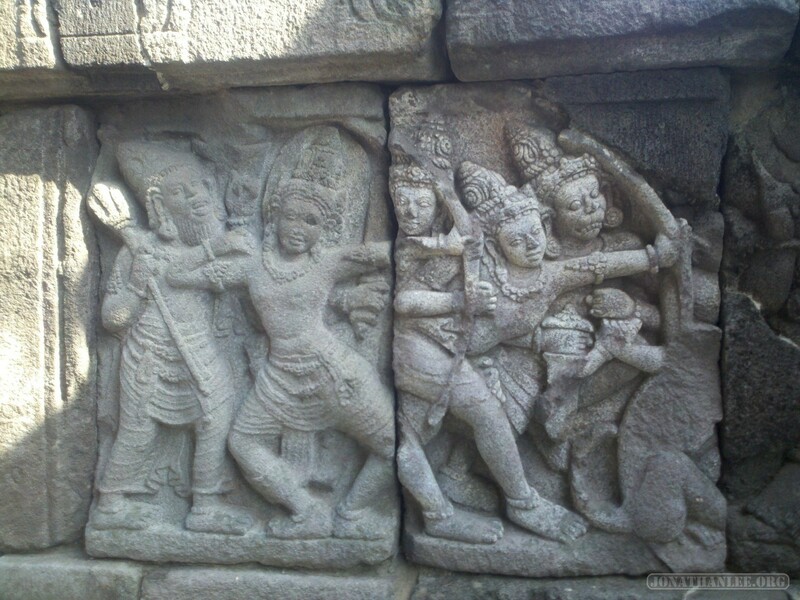 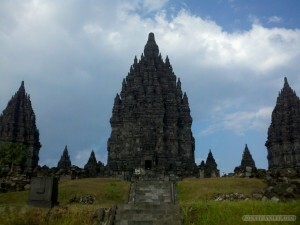 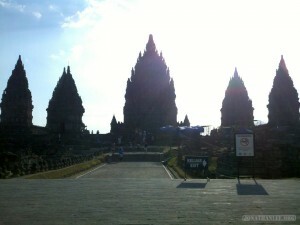 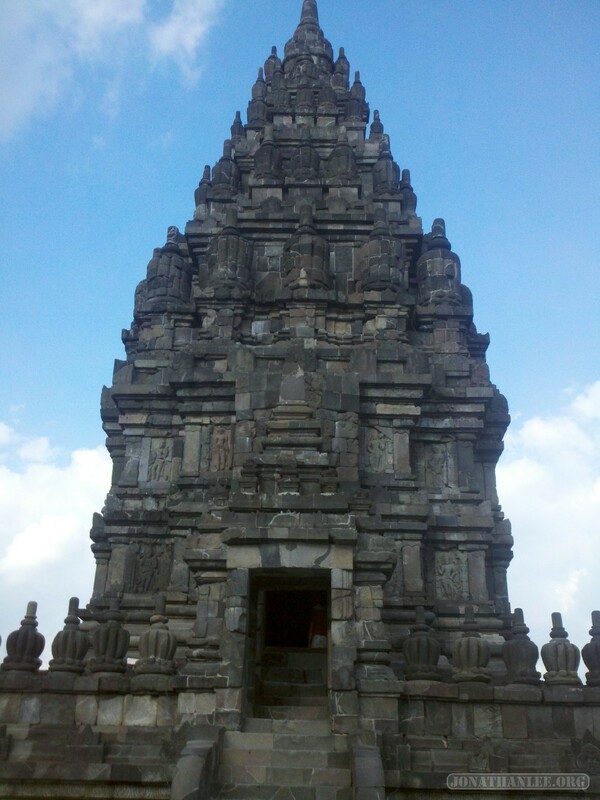 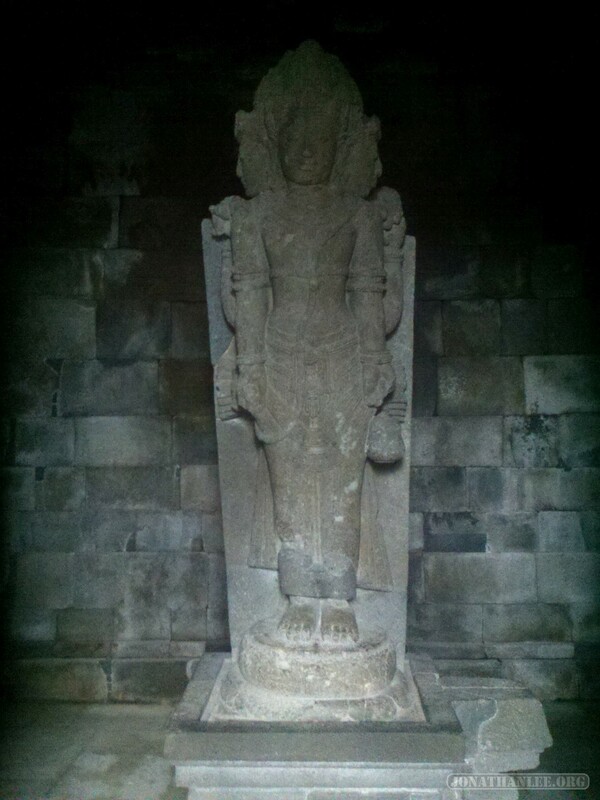 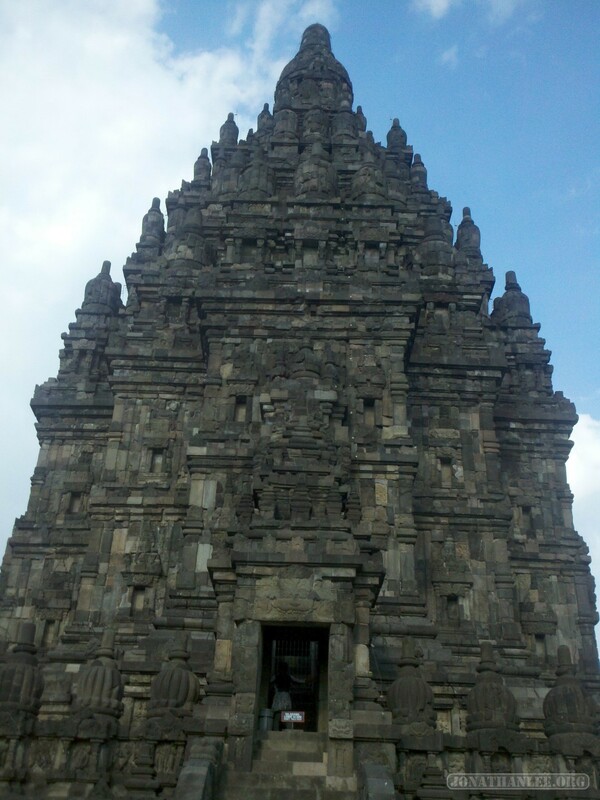 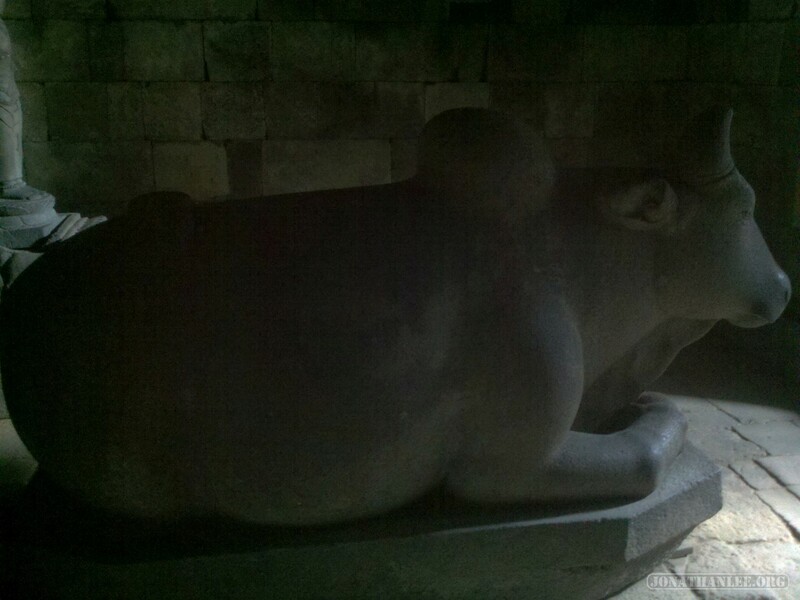 Oh, and Prambanan has all of these murals – supposedly from the Ramayana! Inside each of the buildings, there is an inner chamber decorated with a single statue, reflecting which of the gods the building is dedicated to (Shiva, Vahana, Vishnu, etc). Does anybody more familiar with Hindu culture know why there’s a cow? 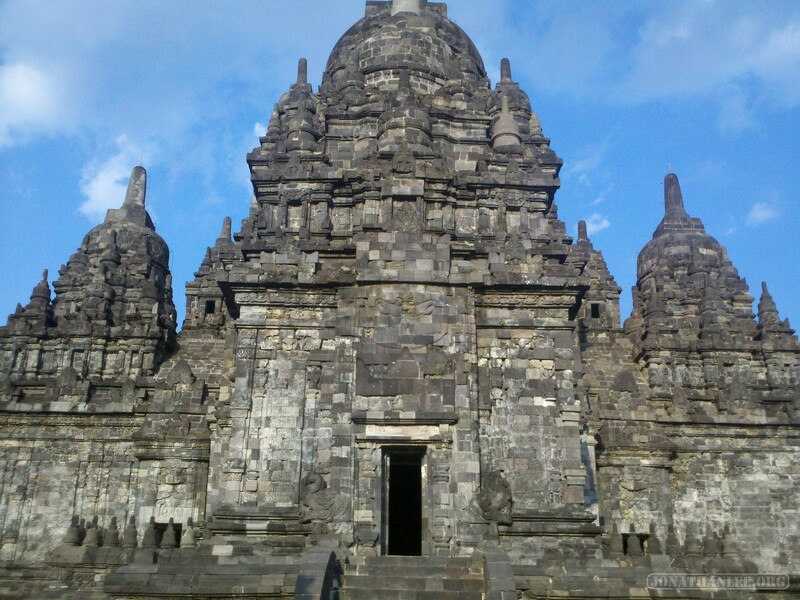 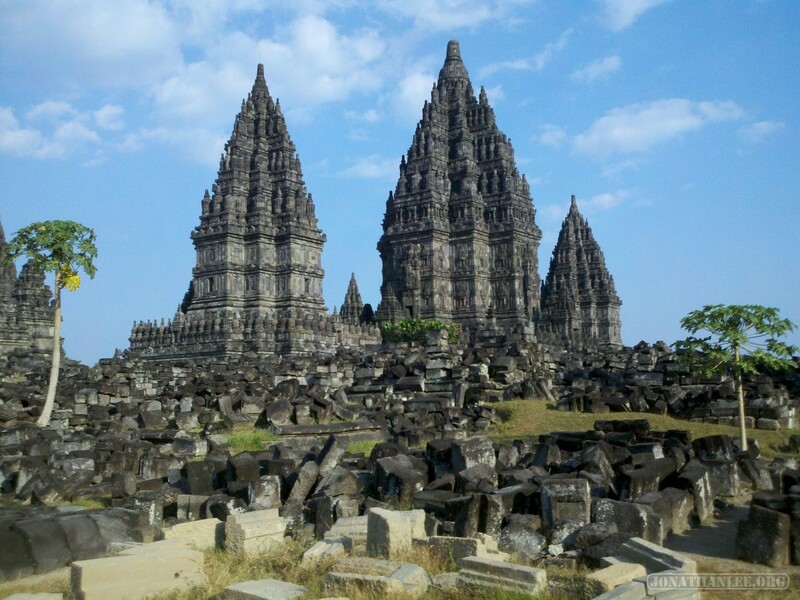 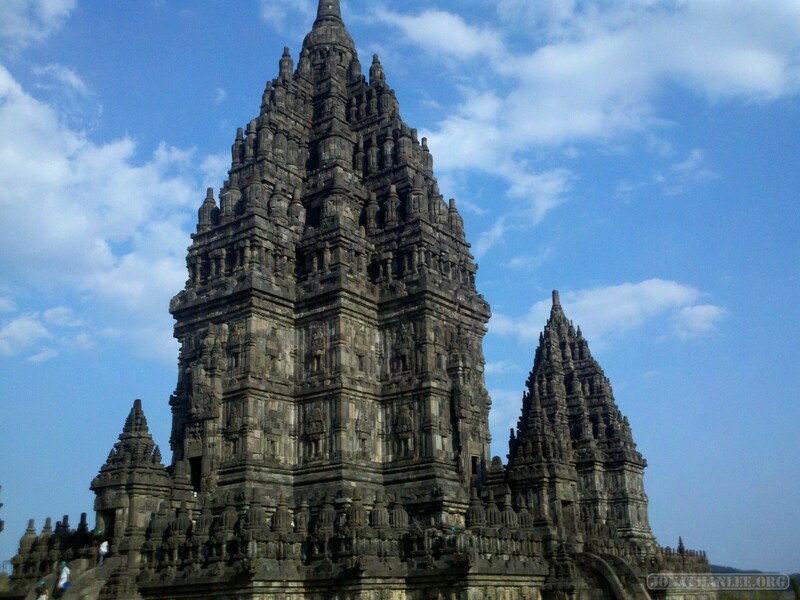 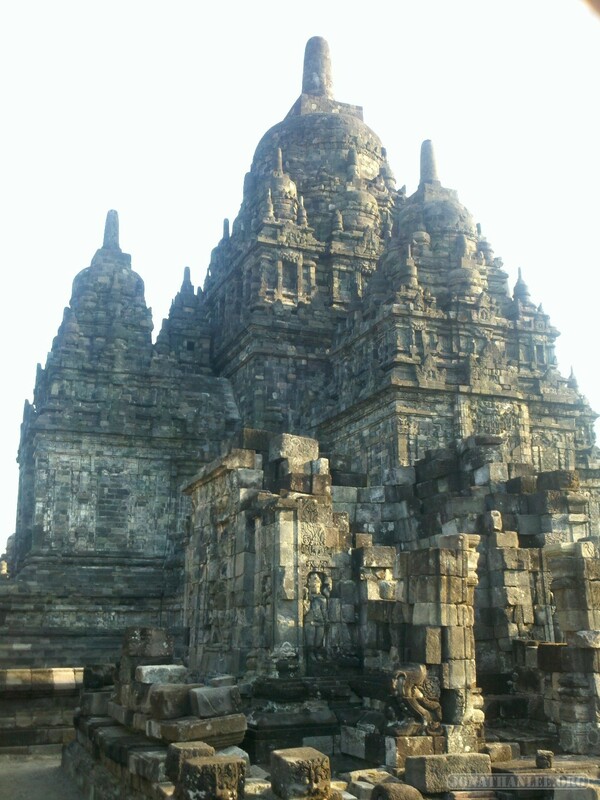 As a side note, Indonesia totally takes advantage of Prambanan being a popular tourist attraction amongst western tourists – Indonesian citizens can enter for $2, whereas it costs foreigners $20. 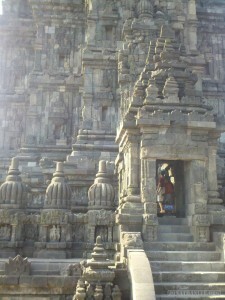 This just rankles me. 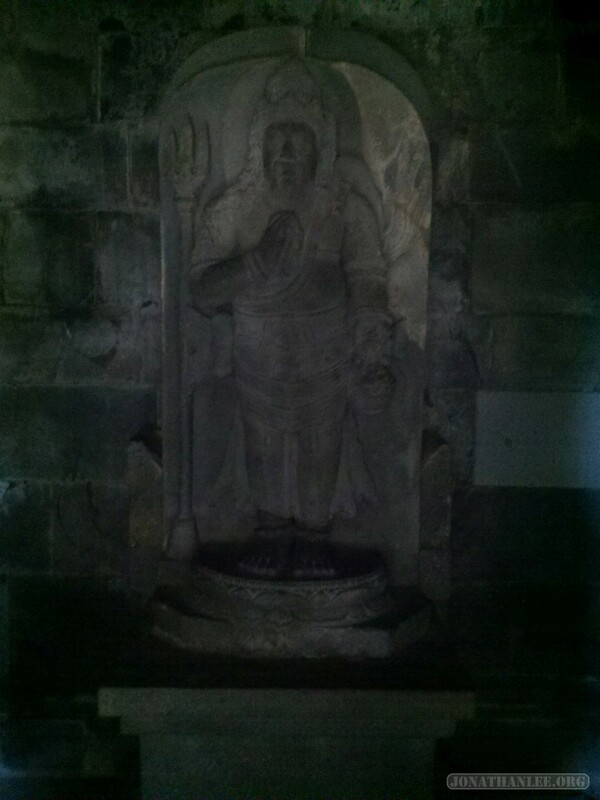 This UNESCO world heritage site was having an art exhibition, and I saw this piece. 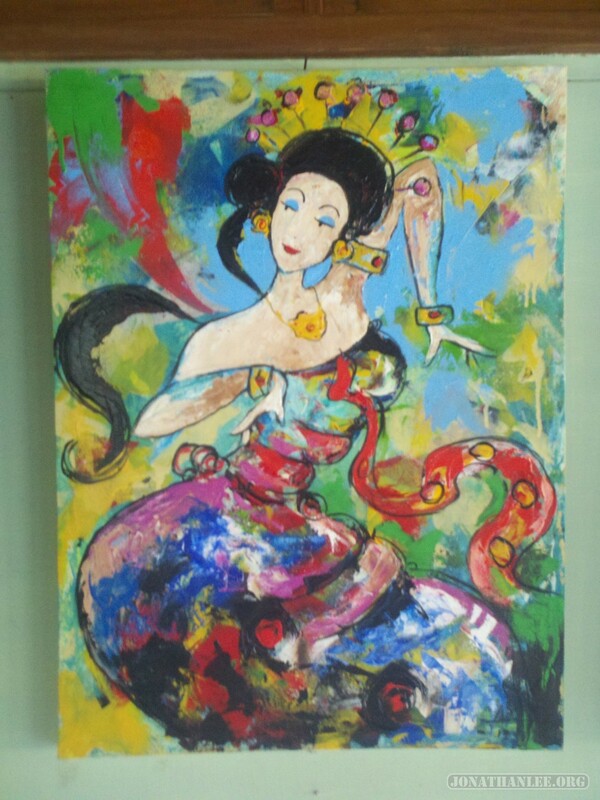 For some reason, I really liked it – I think it’s the eyes.